Leave it to those yahoos in Null Sec to try and grab all the attention. Around 75 Titans bit the dust and, as usual, the news stories are focusing on real world values. Ugh. As anyone who reads this site knows by now, I fully support all play-styles in Eve. I really do. But there is just something mind-numbing about what this most recent battle represents. And honestly I'm struggling to really figure out what it is exactly. I have this feeling that I should be upset somehow, or angry, or pissed off, or something or other. But I'm having a hard time nailing this one down. Maybe it is because I can remember when Titans were rare. Or when they popped up on grid and everyone was frightened and ran away. Or that time I saw my first Avatar up close when I broke through the shields of that -A- POS and got dangerously close to it. and now there are ^^ that many. But that makes me sound like a Bitter Vet and I'm not. It is undeniable that there is something gross about that display. I think we can all agree on that, can't we? But more power to them I guess. Here is a good write up for you. Also the Mittani site has some good reports. Meanwhile, back to business as usual in Low Sec. I need to spend a few million isk to replace my FFA losses from Sunday. lol. PS: I just realized this sounds kinda negative. That was not my intention. This was a very exciting and amazing battle that will be long remembered. Kudos to everyone on both sides for having the gumption to throw your assets around like that. Total respect. I'm just numbed by it I suppose. The $300,000 number made the local paper today... well, the online edition... which prompted my wife to ask me how much money I had "spent" on last night's battle. I had to explain how specious those numbers are and how much the media loves them because money is something we can measure against the real world. I spent $12.95 for my account for the month of January, and that wouldn't have changed one iota if I had lost my ship or if I had just gone to bed early rather than getting out there for a couple of titan kill mails. The real story is about a few thousand people who had an online battle that lasted close to 20 hours. The coordinated efforts of two teams made up of people across the world facing off, that was the cool bit. Totally agreed. And maybe that is the part that is bothering me. I know I just spent three months putting together the FFA and tried explaining that to my RL friends who don't play Eve. Tough. Publicity... I think it's all in the name of publicity. And yes, teh real story, for we who understand EvE, was the fight... 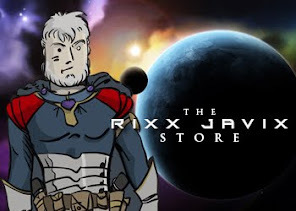 However, as Rixx said... spend some time explaining that to non-gamers and see which they get a grasp of first... the politics and mechanics of the fight or the # of ships destroyed and their $ value.... I see the media flurry over large $ loss fights as nothing more than good press for us... if those stories lead to more people joining up, then I'm all for em.